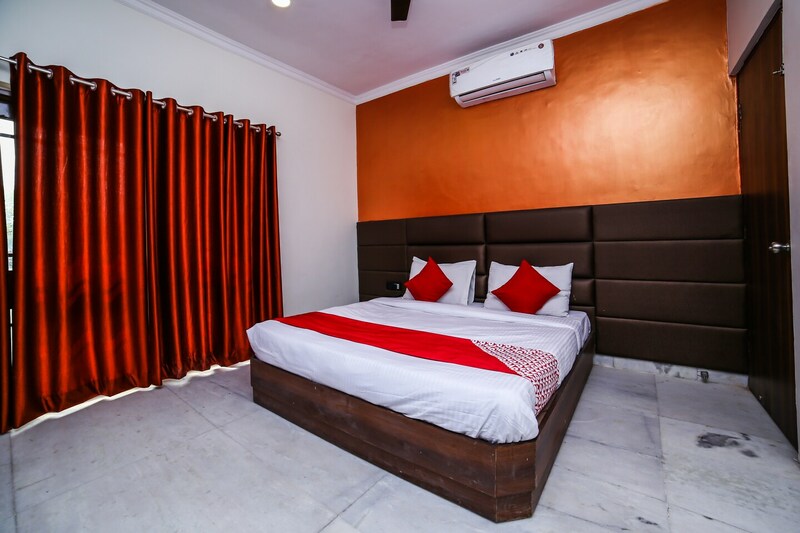 Hotel Royal Town is a modern property with cosy rooms and located close to Mata Chandan Devi Hospital, Block C1, in Janakpuri, Delhi. Gurudwara Singh Sabha Sahib, Indira Park and Jivan Park are close to the property. The rooms in this hotel are done up in warm tones and have large windows to bring in ample sunlight. The bathrooms are trendy and neatly tiled as well. Each rooms comes with a number of amenities like AC, TV and free Wi-Fi. Power backup and CCTV security are also provided. There are several restaurants in the vicinity like Bake Bikaner, Sweet Truth, Behrouz Biryani, and The Good Bowl.